The Chinese brand Chuwi launched a new mini PC Intel Celeron N4100 processor with 4 GB of RAM and a base of twice 32 GB of storage. This newcomer named Chuwi GBox is part of a big wave of machines also equipped with a 2.5 “free SATA III format to increase their possibilities. Currently, CHUWI GBox for just $219.99 available on Gearbest in flash sale Promotion For Limited time. 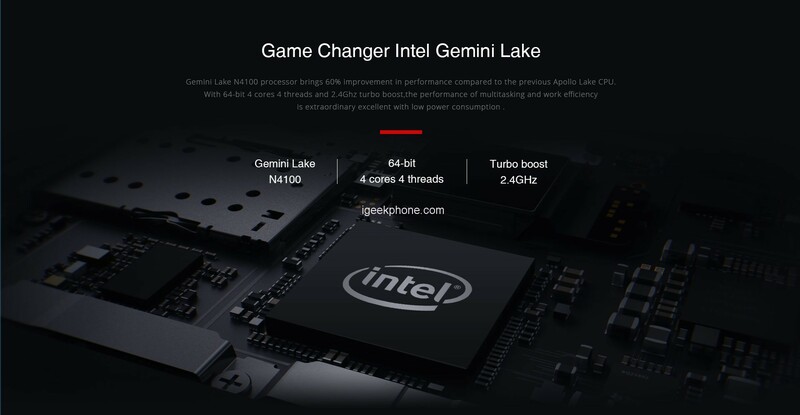 It should be noted that the Gbox is powered by a Gemini Lake N4100 4-core 4-core Intel 4-core processor with a 2.4 GHz turbo boost, paired with 4 GB of RAM + 64 GB of internal storage and can expand up to 2TB. The Gbox mini PC comes with an Intel 9th ? 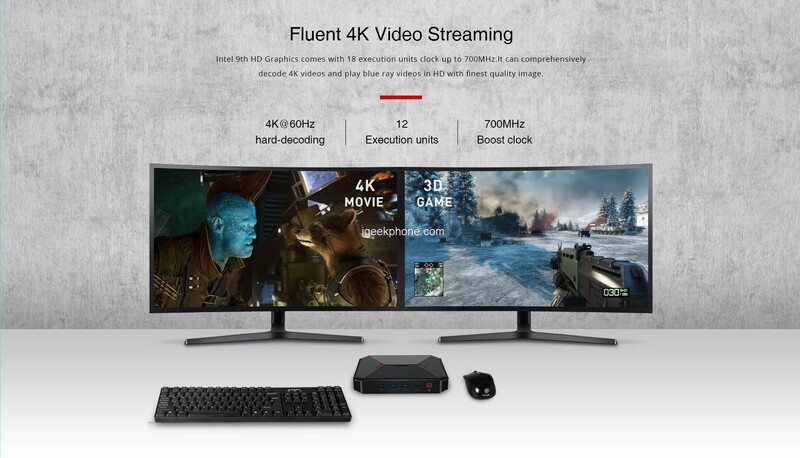 ?HD GPU that certainly guarantees an excellent job in 4K decoding, even allowing you to enjoy ultra-clear videos in real time of multiple formats. The Chuwi Gbox is made with an ultra-compact design and is portable, which you can take to work, conference, move easily from different places in the home. etc. The Gbox runs Windows 10 and is compatible with Linux. 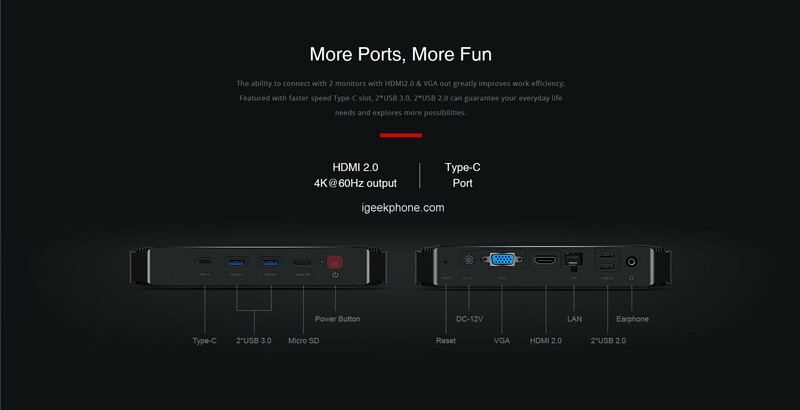 In addition, the mini PC has the connectivity of a slot type C, two USB 3.0, two USB 2.0 and incorporates the ability to connect 2 monitors with HDMI2.0 and VGA output. For its part, it supports remote control, 360 ° air detection and can even operate behind the walls. On the other hand, the Gbox supports the dual-band WiFi 802.11 ac 2.4G / 5G and RJ45 gigabit ethernet, that is, it can transfer data to more than one billion bits per second. Even the mini PC is built to save energy, as it contains energy-efficient hardware components that work with the operating system to maintain a 10W power consumption.